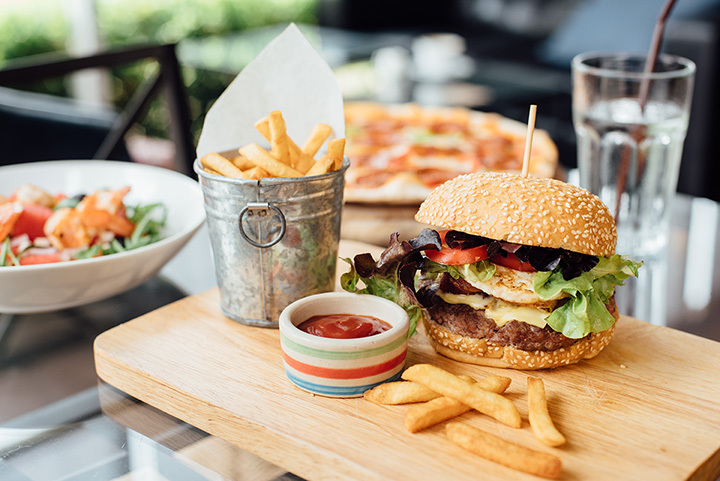 Whether you are looking to grab a quick bite during the work week or enjoy a nice afternoon out with friends over the weekend, you probably have a great go-to spot for lunch. It can be something as simple as a counter that always knows your order or something a little more fancy for the weekends. Try something new and explore one of our top 10 choice for lunch spots in Nevada. Adorable does not begin to describe this little lunch spot. The cute brick building is cozy and the menu is yummy. This is a fun spot to enjoy a drink over lunch with friends on the weekend. This classic French cafe transports you to another world with their amazing onion soup and other offerings. The food is hearty and great for quick workday meals. Unique flavors and new pairings is what this spot in known for. The food appears high end while the atmosphere is laid-back. This is a great choice for a quick lunch over their “Tiger Shrimp Tamales” or a sampling of the fondue. It is a favorite for both the work crowd and weekend diners. Some of the most amazing Northern Thai food in Vegas, and a great choice for a quick and filling lunch. The menu is focused on fresh and authentic Thai tastes. The unassuming exterior keeps this local hot-spot a well guarded secret. Fresh local food doesn't get any fresher than their menu. They use locally sourced, hand picked produce including things they grow in their own greenhouse. Lunch is served fresh, fast and always great. Organic is king here at the best sandwich shop around. Everything is made fresh and locally sourced. They serve healthy lunches and hand-crafted soups with the weekday worker in mind. Farm-to-table ingredients make everything they serve amazing. This is a fun spot to share bottomless bubbly with friends for a weekend lunch. They are well known for their hand-made desserts to save room for something sweet. A table by the lake is the perfect spot to share a weekend lunch with friends. The view is amazing and the American menu is hearty. Our favorite in the roasted organic king salmon salad. A family-style Basque dining room, this old world feeling spot is the best local place for a leisurely lunch. The food is amazing and the service takes care of every need. Everything is prepared with the best of the Basque traditions in mind and each meal is truly an experience. Breakfast and lunch is what they do best. They offer fresh, quick meals for the work week that do not skimp of taste just to be fast. Their weekend brunch is also a local favorite. The must try item is the shrimp and grits.